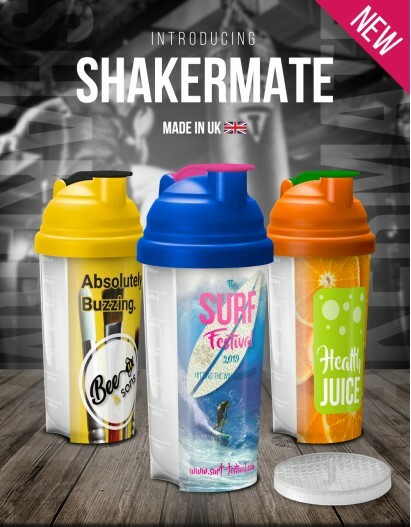 Introducing the new Shakermate protein shaker in Full Colour. 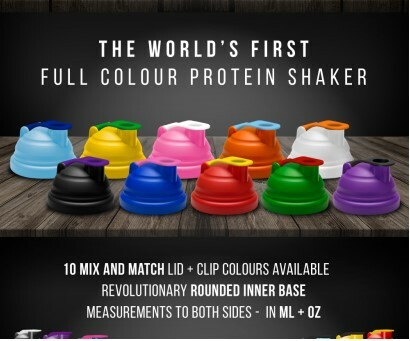 The World’s first Full Colour Protein Shaker. This 700ml/24oz Shakermate protein shaker features an integrated mesh mixer making sure that your protein powder gets a good blitz. The rounded inner base makes for easier cleaning. There are 10 mix & match lids and clips available so you can choose the best colour combination that fits your brand. It also has a measuring display to either side in ml/oz. 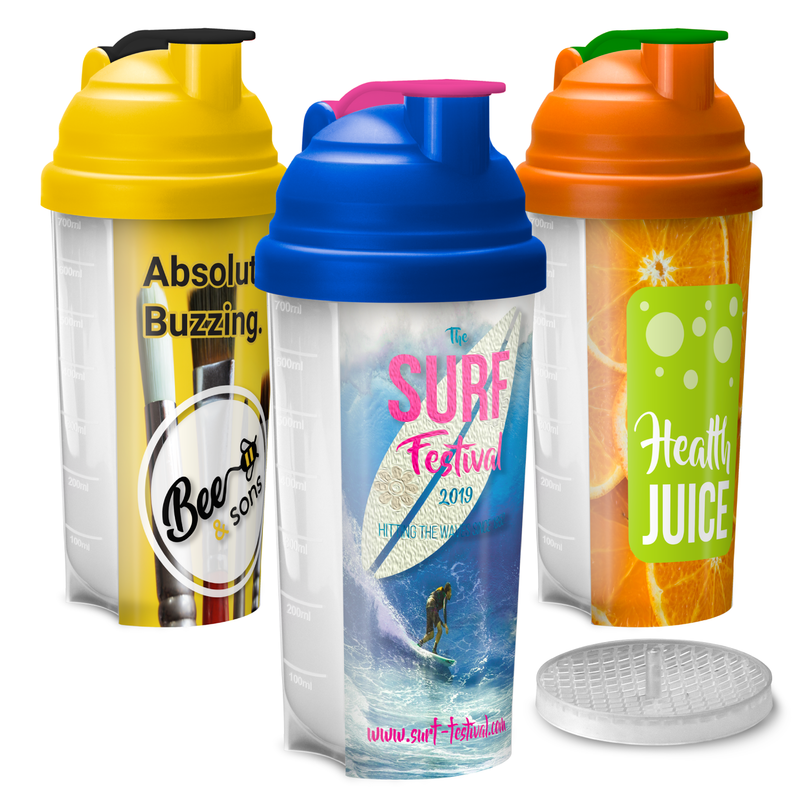 Being in full colour, this really has the opportunity to make your brand super eye-catching as well as being a useful sized shaker at the same time. Our Branded Protein Shakers are a popular promotional item for use in a variety of sporting events. Leisure and sports facilities, gyms, schools, universities, fun runs and more. We’re one of the UK’s leading promotional merchandise suppliers! We offer only the lowest prices, along with unmatched service excellence. Contact our friendly team for enquiries or advice at info@completemerchandise.co.uk or on 01420 478866.